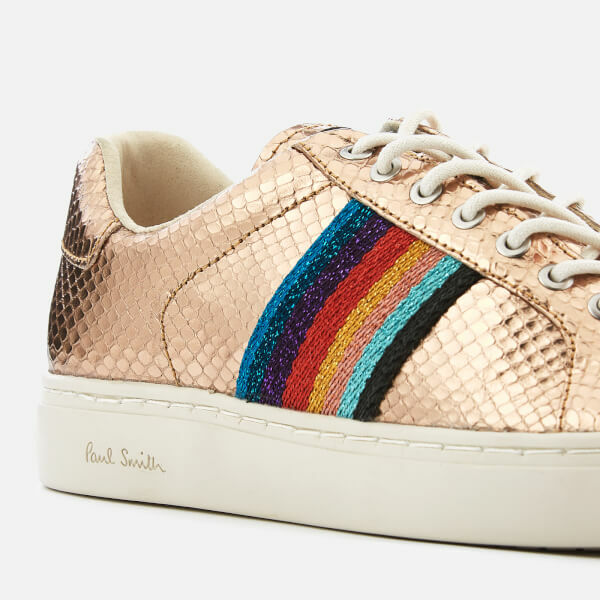 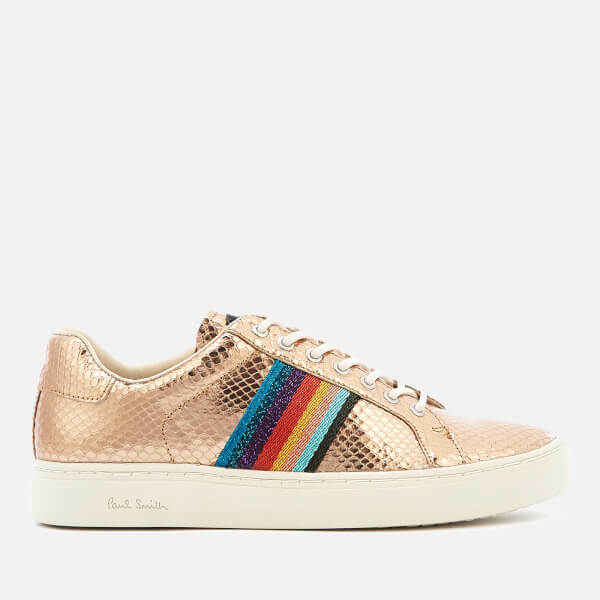 Women’s ‘Lapin’ metallic gold leather trainers with contrasting multicoloured side stripes from Paul Smith. 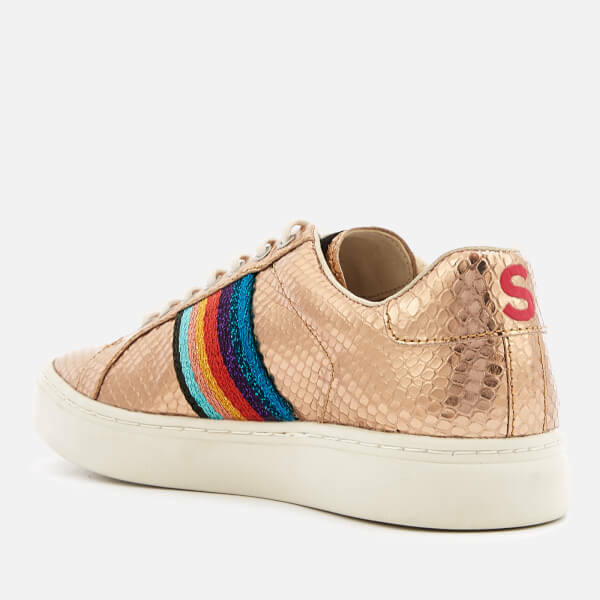 Crafted with snakeskin textured leather uppers, the lace fastened trainers sit on a white rubber cupsole with a textured outsole for added grip. 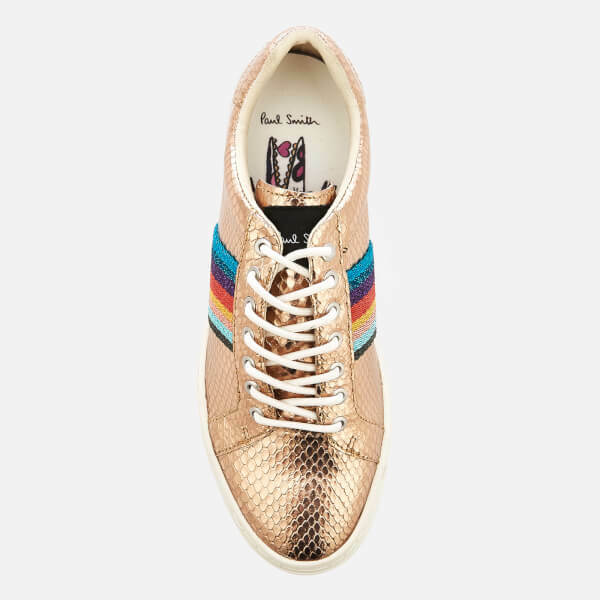 Complete with silver-tone metal eyelets, contrasting ‘P’ and ‘S’ logo detail on the heel and soft suede linings for comfort.